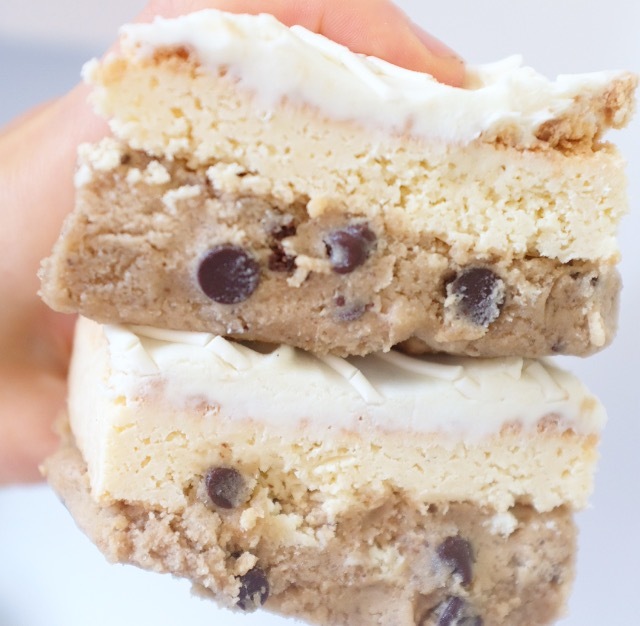 Mix all ingredients besides the cookie dough in a mixer until smooth. Pour into a greased 9x9 baking dish. Bake for about 30 minutes until set. Remove from oven and let fully cool. Frost with vanilla frosting if you wish. Roll out cookie dough to desired thickness (1-2 inches thick) on parchment paper. Refrigerate overnight or at least a couple hours.